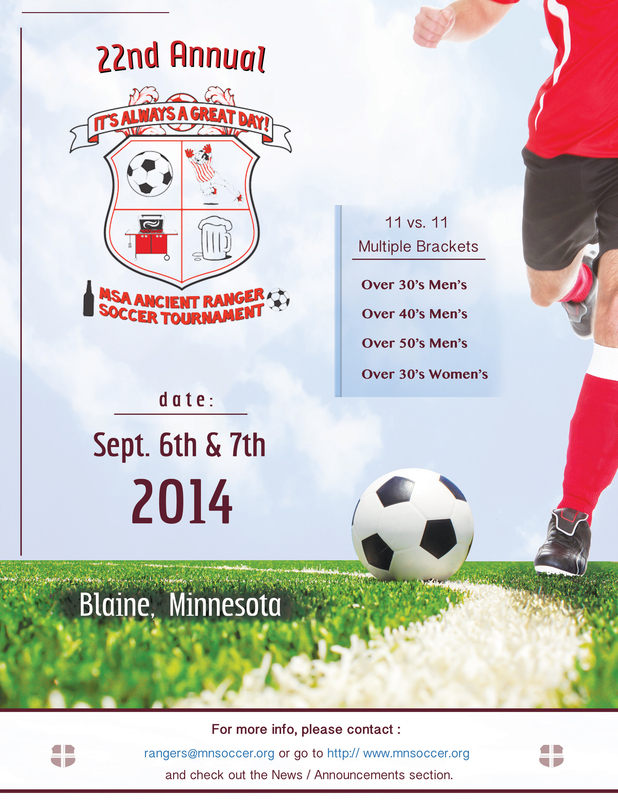 Home › News › 22nd Annual MSA Ancient Ranger Tournament Details Released! 22nd Annual MSA Ancient Ranger Tournament Details Released! This year’s event will be held at the National Sports Center in Blaine, MN, September 6-7, 2014. With over 40 teams participating in six divisions (men’s O30, O40, O45, O50 and women’s O30 rec & competitive), free massages, and free food all weekend, this is truly a destination tournament worth the trip to Minneapolis. Send an email to rangers@mnsoccer.org today to get more details!